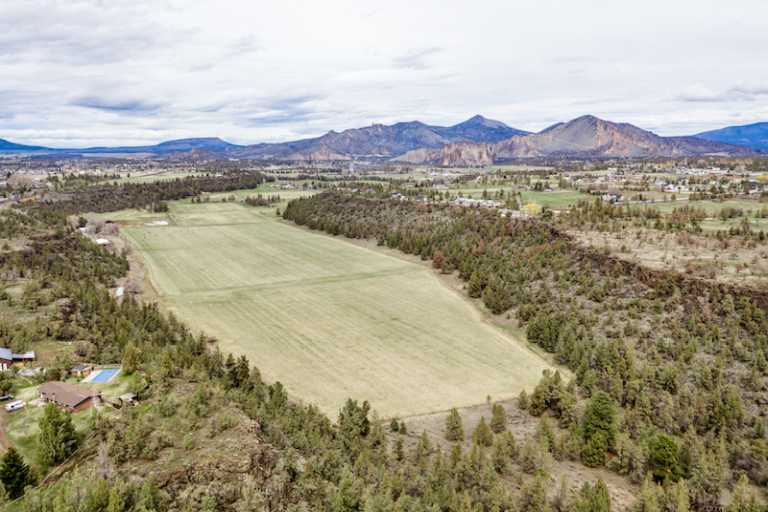 Extremely quiet and private, stunning, flat, rectangular shaped, farmland on 109.1 acres with 68 acres of irrigation from gravity flow/box canyon (no pumping costs), offers exquisite views of Smith Rock and the Cascade Mtns. This agricultural opportunity is perfect for farming, cattle, horses or building your dream home. Property offers two houses, new pole barn,new irrigation piping and misc outbuildings. Centrally located between Redmond and Terrebonne on three separate tax lots. Buyer to do their own due diligence with Deschutes Co. regarding growing Cannabis. Property is leased through 12/19, (but willing to stay) for alfalfa farming, horses and cattle. Buyer to do their own due diligence regarding cannabis growth opportunities. Burlington Rail has easement permit, buyer to do their own due diligence. Manufactured is CUP and considered personal property, but will transfer with sale of land. Home is a tear down/rehab and there is power and plumbing to house. 2 septics on property, one for manufactured, one for house. Three tax lots.